Many thanks to Huggies for helping us tell this story. Long weekends are lovely. But seeing Labor Day come up on the calendar is a reminder that summer is coming too quickly to a close. This Labor Day is our very first adventure with baby Grace, so we’re heading to my parents’ lake house in Middle of Nada, Indiana. There, cell phone reception is awful, cable channels are laughable, and none of that matters anyway because the sky will rise brilliant gold from an endless star-spotted black and the water will send shivers up the spine, we will see sunning turtles and marks from the beaver on the fallen tree. My son E and I have traveled tens of thousands of miles together across time zones. We’re not only practiced trip preparers, we actually love all the laundry and list-making that goes into traveling. I love a list handwritten in Sharpie with stars and arrows and my son’s silly doodles to remind us of everything we absolutely, positively cannot forget. Cell phone chargers. The woobies a certain kid cannot sleep without cuddling. The first-aid kit. Just enough cash. The white noise machine for the other little light sleeper. Sunscreen. AND DIAPERS. We can pinch hit if we forget jammies, but we must always have a supply of diapers. A Costco-size supply. 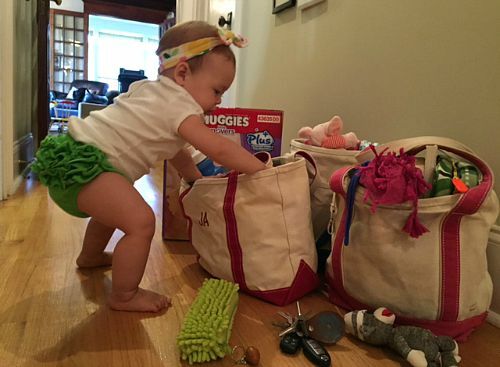 When I travel, I stock up on the same premium diapers at an affordable price that I use every day — new Huggies Little Movers Plus Diapers that are available only at Costco. That big box in the back of the car soothes any worries about running out of the baby necessities, and these ultra soft, extra-absorbent diapers with a Trusted Leak Lock system take care of my girl while I’m keeping my eye on the road. 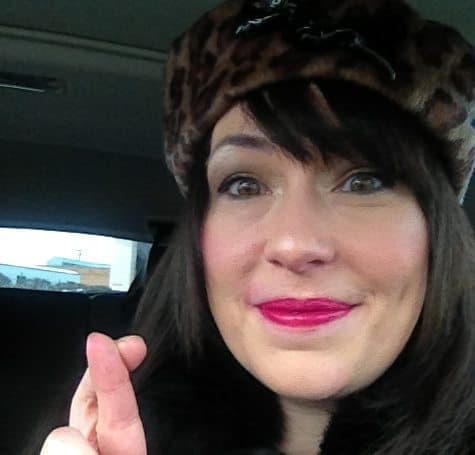 Plus, a pre-road trip Costco stop means we will also never run out of pita chips and black licorice, either. I also stock a grab-and-go pack of Huggies Little Movers Plus Diapers and Huggies Natural Care Plus Wipes —available only at Costco– which are thicker and more durable and made with Huggies simplest formula of 99% water. As most of us who’ve traveled with sweaty toddlers know, wipes are also great for gooey fingers and faces. This pack is my key to convenient public restroom stops and quick changes in the car (and makes a super-soft pillow for Grace’s precious head on plastic changing tables). My pack is made of cloth, but a zipper plastic bag works just fine, too. 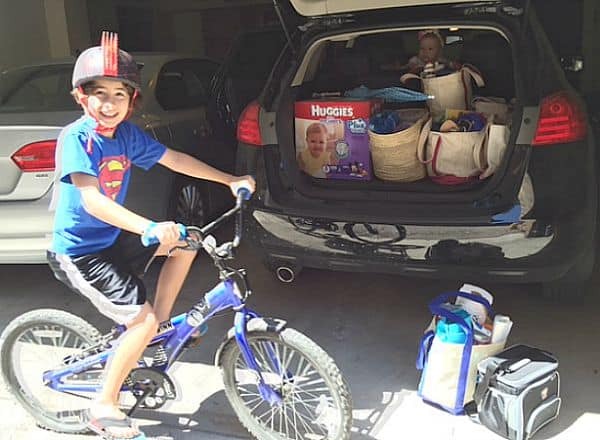 A friend with twins once told me that smart travel with kids begins by packing a week before the trip and taking two items out of the suitcase every day. I’m not that regimented, but I do laundry well in advance, pulling out anything there’s any chance we’ll need. The big heap of (what I think are) must-haves is always just the visual I need to really edit it down. I revisit the stacks regularly, refolding and organizing and pulling out anything questionable until there’s some breathing room in each bag. 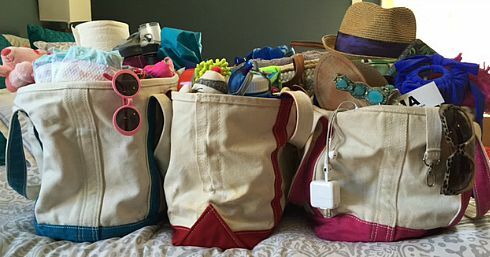 For road trips, I divvy up everything into sturdy canvas tote bags. One for each of us, one for the beach, one for snacks, one to slide in the backseat with books and toys, one full of clean-up and emergency supplies I can access easily. It’s simpler than zipping and unzipping suitcases that are hard to haul in and out of the car. My diaper bag has a pocket that serves as my purse (one less bag! ), so Grace and I are both set when we venture out. There’s a lot we won’t be able to — or want to — control when we finally pull up to the lake house. There might be missed naps and mosquito bites, and there will definitely be messes and daily mayhem. Letting go of schedules and worries about what it should be is part of the fun of the holiday. But to get there, to that magical moment when Grandpa balances precariously in the paddle boat and the baby shrills to feel toes in the sand and E lands an amazing cannonball off the pier and I forget what day or time it is, I need to know that my kids are safe, healthy and have what they need. That’s why all the packing isn’t leading up to the big adventure, but preparation is the beginning of it for me. 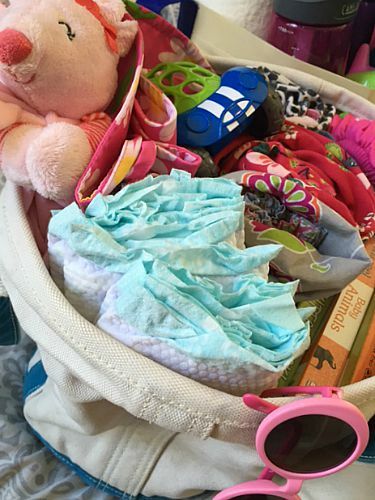 With each tucked-in swimsuit and, yes, even pack of diapers and wipes, I’m signaling my busy mama brain that all the good stuff is happening. It’s already in motion. 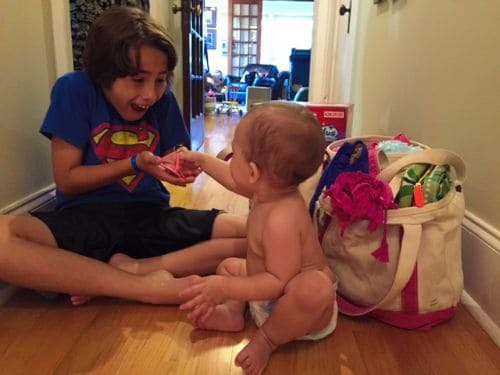 What will this first mama-two kids Labor Day road trip hold? We shall see! I hope we all delight in the moment, for a few fun firsts and that we feel the good kind of exhaustion. And for those moments, we will be completely prepared. This post is sponsored by Huggies. All tips and opinions are my own.